We invite you to join us for our 4th annual 6 day immersion in Hakomi. Whether you are a complete beginner or a seasoned student of Hakomi, this experiential workshop is an opportunity to take your next steps in learning and embodying the method. The 6 day training focuses on practices in pairs and small groups, encouraging each participant to engage in the method at his or her own pace. There will be opportunities to gain self-awareness, practice full sessions, experience the method as a client, and to receive support from Certified Hakomi Trainers. Together, we create an atmosphere of light-hearted, patient gentleness and compassion to explore the Hakomi method. 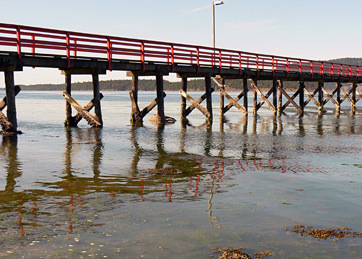 We take a day off in the middle to enjoy the famous Salt Spring Saturday Market, walk in one of the island’s many beautiful parks, or simply relax on the beach.